From where SP1772 : Garden, Packwood House was taken, looking right. At the corner of a garden wall is one of several gazebos, "probably mid C17 with pyramidal old plain-tile roof" Link . 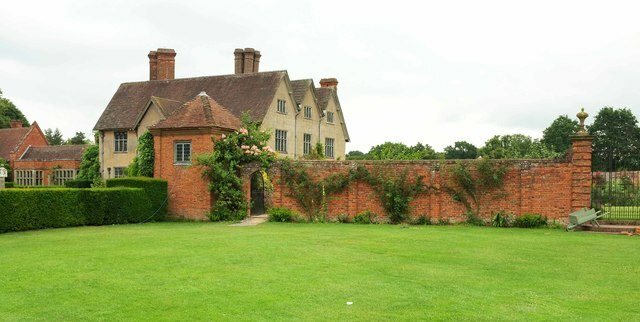 Behind is the grade I listed National Trust property Link .